One of the benefits of being associated with The Premier Property Group here in WaterColor is that we are a part of LeadingRE and Luxury Portfolio International, which is a select group of real estate brokerage companies worldwide. Because of this association, we have access to some of the best information affecting our luxury home market here at the beach. This is a great articleWhen purchasing a significant property, buyers should be aware of several factors during the buying process. The home's location, new tax laws and your personal portfolio are all important issues to consider, whether purchasing a new primary or secondary home. Here are some more details and additional insight from LeadingRE Chief Economist, Marci Russell on economic factors that are influencing the buying process today. Politics - rather than economics - is driving real estate across the globe. The new changes to the U.S. tax code cap the deduction for state and local taxes to $10,000. Over the next decade, predictions are that low-tax states (like Florida) will see an increase in home buyers that will potentially put upward pressure on prices here. Now is the time for the affluent home buyer to keep their accountants on speed dial because law are changing quickly. A home is often a part of a larger portfolio and changing tax laws have an impact on the taxes on your individual assets, particularly if there is a change in geography. Though it may be discouraging for high-end buyers in high-tax states in the U.S., don't be surprised if, in the next few years we see a financial innovation that mitigates the tax problem. In Europe, the political consequences of Brexit will impact luxury markets for the next decade, as financial centers such as Frankfort benefit from the gradual exodus of business from London. Every region of the globe is growing right now, for the first time in over a decade. Last year, India posted the strongest growth of the large economies at 7%. China expanded at over 6%, the Euro Zone grew 1.5%, Russia emerged from a deep recession, and economies in South America and Africa benefited from the recovery in commodity prices. As a result, central banks from Asia to Europe are rolling back monetary stimulus and tightening policy. In the United States, Jerome Powell has replaced Janet Yellen as Chairman of the Frederal Reserve, and there are several open seats on the Board of Governors that need to be filled in 2018. But luxury buyers should expect the same policy of slow, steady interest rate rises as the global economy continues to improve. Real estate is part of a portfolio that includes stocks, bonds, and other assets. The strong gains in stocks over the last few years may mean that it's time to rebalance that portfolio and add more real estate to the mix. S&P 500 index has tripled in value since its lows in 2009, a pattern that's been repeated in stock markets around the globe. With the strong gains in stock over the past few years, buyers are encouraged to embrace more real estate. Blockchain, an ever-growing list of records that are linked and secured using cryptography, has begun to influence financial services and will begin to change the way luxury buyers purchase homes in the near future. The first big real estate transaction using blockchain technology occurred in Ukraine last year. While still in its infant stages, blockchain technology promises to remake industries, just like the internet transformed sectors from travel to finance. With real estate, blockchain technology is likely to have the greatest impact in less economically developed parts of the world where property rights are less secure, title is more difficult to establish and fraud is of greatest concern. It will make transactions cheaper and easier for the most sophisticated buyers, especially across borders. In U.S. markets, two strong forces will collide in 2018: millennial home buyers and the new tax code. The oldest millennials are now first-time home buers. As they seek to put down roots for their new families, the most affluent millennials will be attracted to low-tax areas that will minimize their payments to Uncle Sam. Just as they drove up rents in the urban areas of their choice over the last decade, they will put upward pressure on luxury homes in their most desired neighborhoods in the years to come. Couple these forces with synchronized global growth - which puts upward pressure on real estate prices and interest rates across the world - and it makes sense to lock in that attractive luxury property as soon as possible. 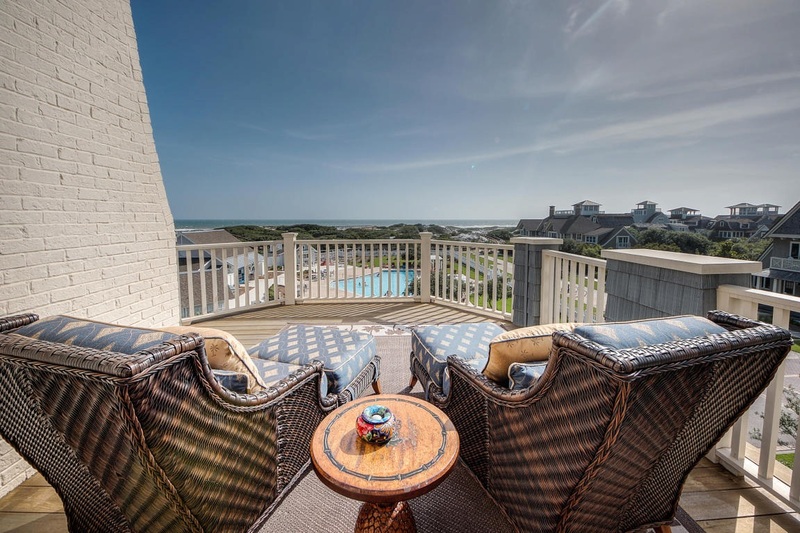 If you would like more information about luxury properties here on 30A, connect with me at (850) 933-7899 or email me at teresa@teresa-turner.com and I will help you with trusted advice.